The Kardashians are rarely free of drama. Heck, it’s what their multi-million dollar brand was built on. However, the family aren’t known for passing public comment on situations outside of their stalwart reality TV show, Keeping Up With The Kardashians. Because all heartache should be dramatised, right? Even though it’s already been discussed at some unfathomable length already. In case you missed it – you lucky sods – Kourtney Kardashian broke up with Scott Disick, who she has three children with, back in July 2015 after a series of alleged infidelities. 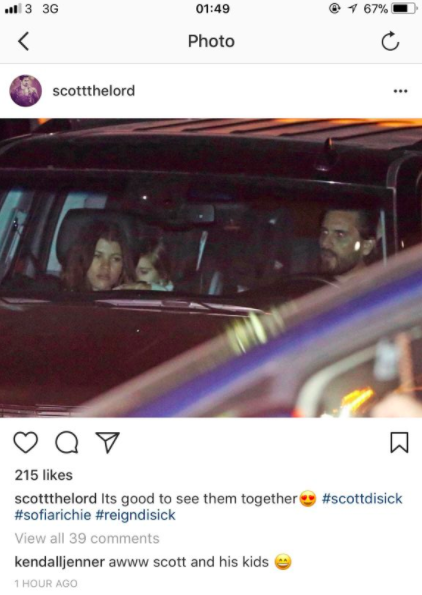 Since, Scott and Kourtney have both been linked to other celebs with varying degrees of scandal, but it seems Disick has settled down with none other than Sofia Richie. Who’s that? Only Lionel Richie’s daughter. The new couple were pictured out and about together, probably driving somewhere nice and expensive, with Disick and Kourtney’s three children – Mason, Penelope, and Reign – in tow. 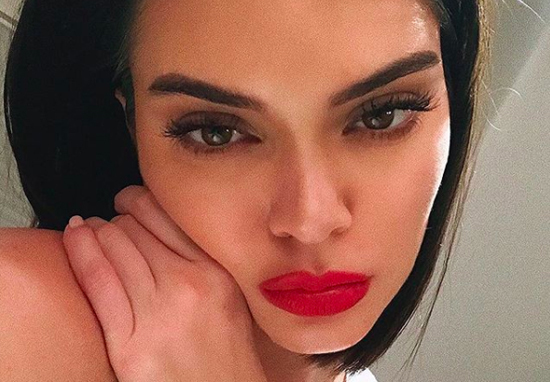 Apparently Kendall isn’t a huge fan of the new hook up, and shared her feelings from her verified social media accounts in a now-deleted post on the photograph. Presumably, Kendall isn’t just admiring the co-parenting abilities of her half sister and her former partner. The emoji does sort of give it away. The Internet jury, instead, think she’s more likely alluding to the 15-year age gap between 35-year-old Disick and Richie, who is 19. While some observers have praised Kendall for her ride-or-die attitude to sisterhood, others have pointed out Kourtney and Scott are doing a pretty stand up job of co-parenting. Their family of five even went on holiday together last summer. On top of that, the Kardashian Klan are no strangers to significant age gaps in romantic relationships. Kendall’s sister Kylie Jenner started dating her ex Tyga when she was only 17, as some Internet Detectives were quick to point out. Equally, Kourtney Kardashian – who will turn 39-years-old in April – has been spotted globetrotting with her 24-year-old boyfriend, Younes Bendjima, because she’s a grown woman who can do what she wants with all her millions, garnered by nepotistic means. The same can be said for Sofia Richie, and by association, Scott Disick, and even Kendall Jenner, who are all grown ups here, even if they insist on resorting to playground tactics like burning their family members on social media. Let’s let the adult children play, shall we?